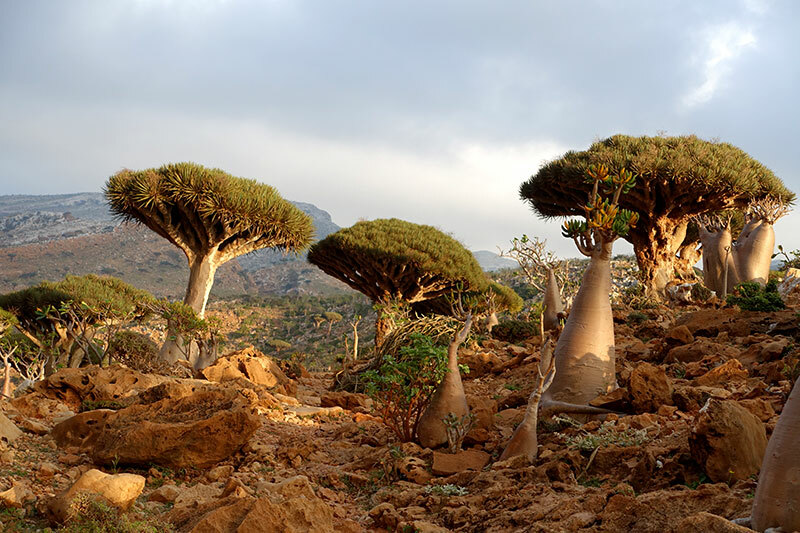 What is characteristic of the nature of Socotra is its uniqueness, which resulted from the island’s long isolation from the mainland. 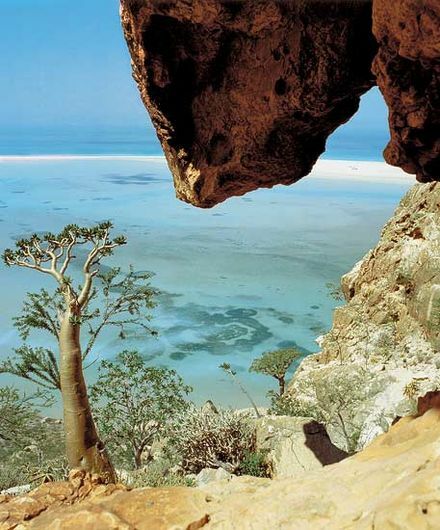 Botanically, the Socotra islands are the tenth most bountiful islands in the world. 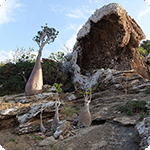 This is also due to the large number of endemic species found on the island. 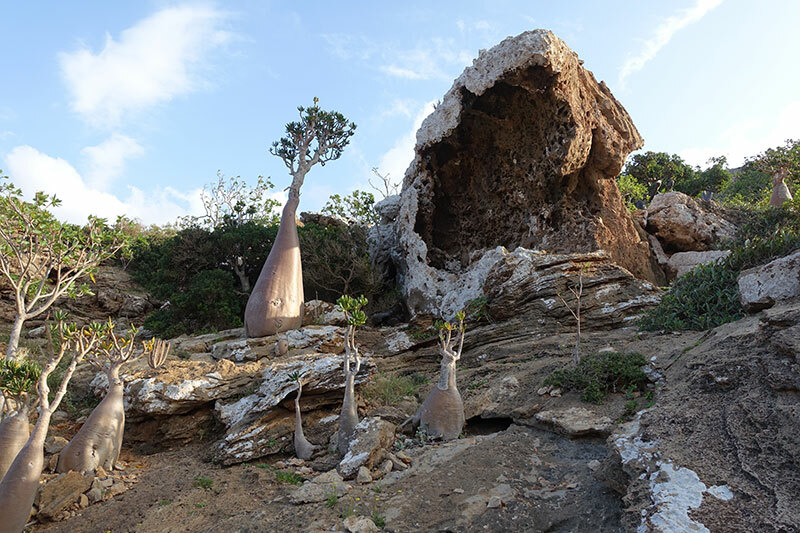 Socotra offers 825 of known plants, out of which 37% are endemic. 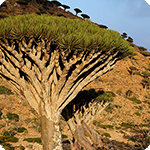 Up to 90% of reptiles and 95% of insects (spiders, scorpions) cannot be found anywhere else in the world. 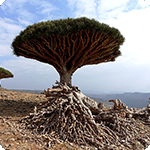 Moreover, there are 192 kinds of birds, many of them regarded as endangered species. 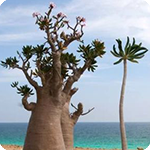 There are no shipping routes due to the island’s isolation, absence of industry and 6-month monsoon period. 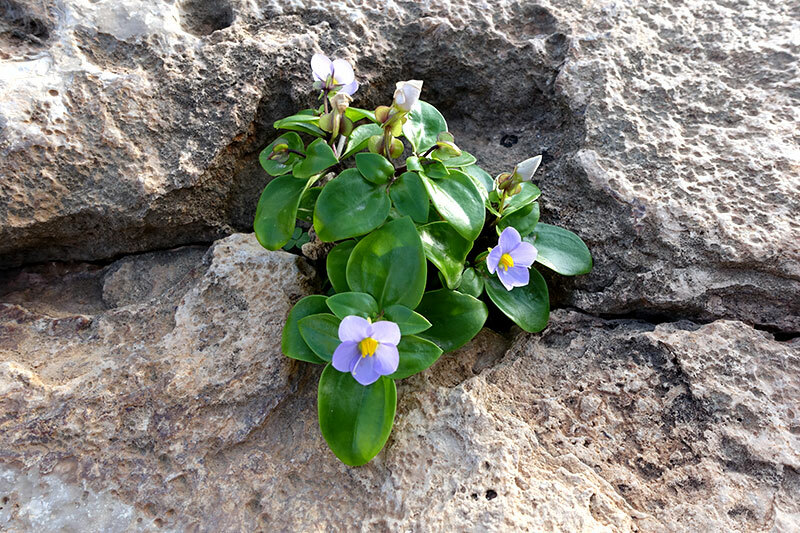 As a result, there are ideal conditions for rich sea life. 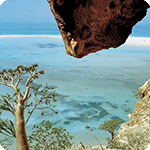 There are 253 kinds of coral, 730 kinds of fish, 300 kinds of crabs, lobsters and prawns. On the beaches you can find small pyramids, which are created by crabs that build their holes in the sand. 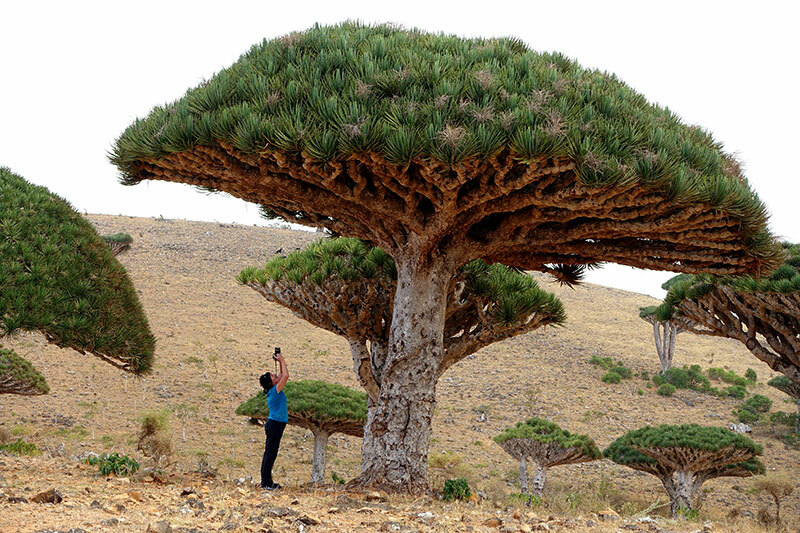 Dragon’s blood tree (Dracaena cinnabari) – These unique and fascinating trees date back to the Mesozoic Era. 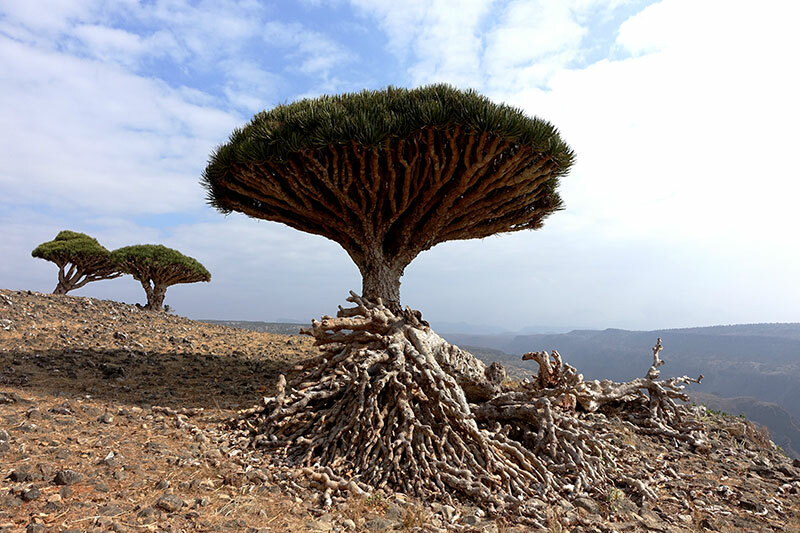 They are the backbone of one of the oldest ecosystems on the Earth. 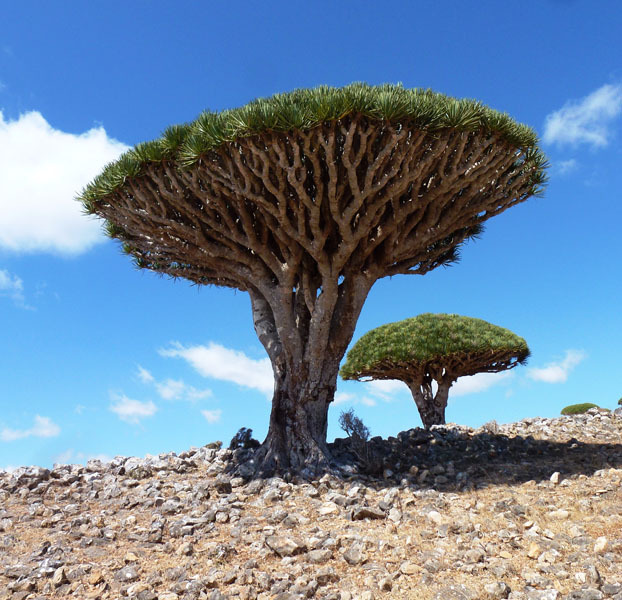 The aborigines call them dam alichvajn (two brothers’ blood). 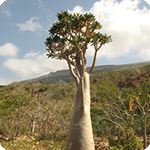 The tree was named after the red sap it produces. 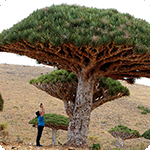 It is a rather strange-looking umbrella-shaped tree, which usually reaches between 6 and 9 metres in height. 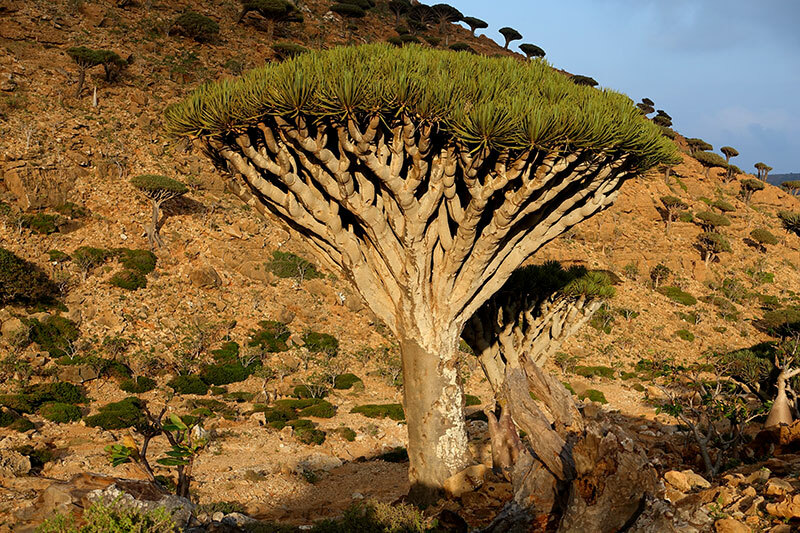 There are approximately 900 000 dragon’s blood trees on the island, which is around 40% of its total population. 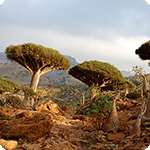 They have been around for quite a time and date back to the age of dinosaurs. 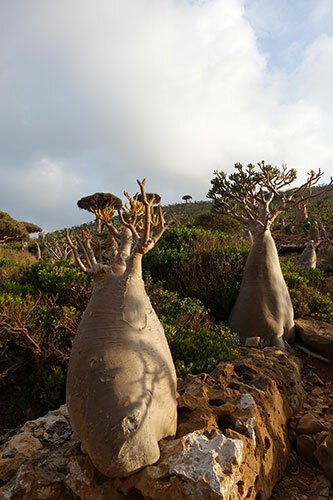 The trees that can be now found on Socotra are a few hundred years old and there is, unfortunately, no new population growing. The red sap from the tree, i.e. 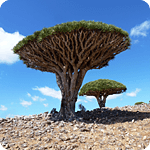 dragon’s blood, was used as a cure for inflammation, as an antiseptic, in the preparation of colours and later for colouring of violins. 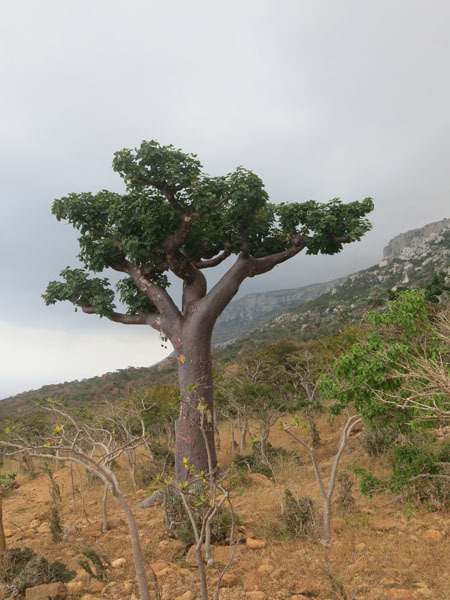 Olibanum tree (Boswellia Sacra) – Olibanum-trees are rare species, which reach between 2 and 8 metres in height. 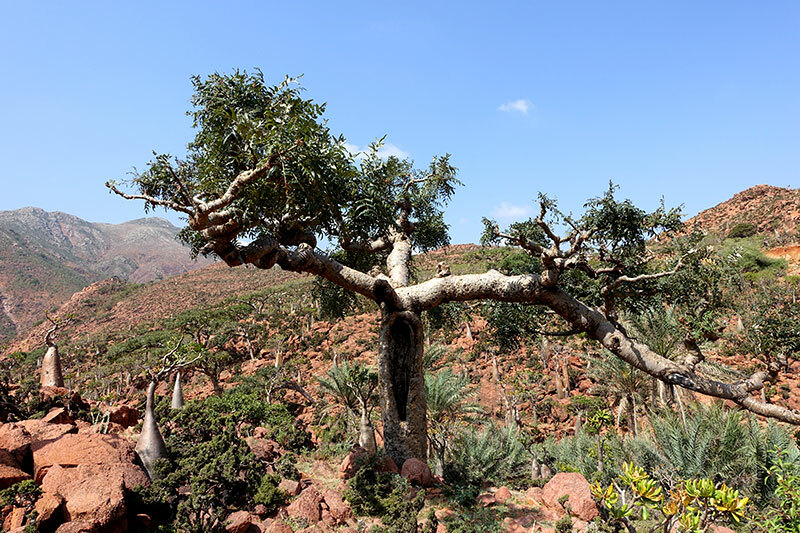 Frankincense, the valuable sap producing pleasant smell, is extracted by making a shallow incision on the bark, trunk or branches of the tree. 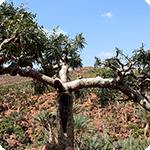 When harvested, the sap has the form of a milky substance which, after drying, turns into light yellow, brown or translucent grains. The strong, pleasant smell appears when these grains are heated up. 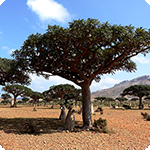 Lastly, the frankincense essential oil, which is used in aromatherapy, is obtained by steam distillation. 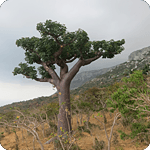 The sap has traditionally been regarded as a universal cure and it was used by healers in the past due to its antiseptic qualities. 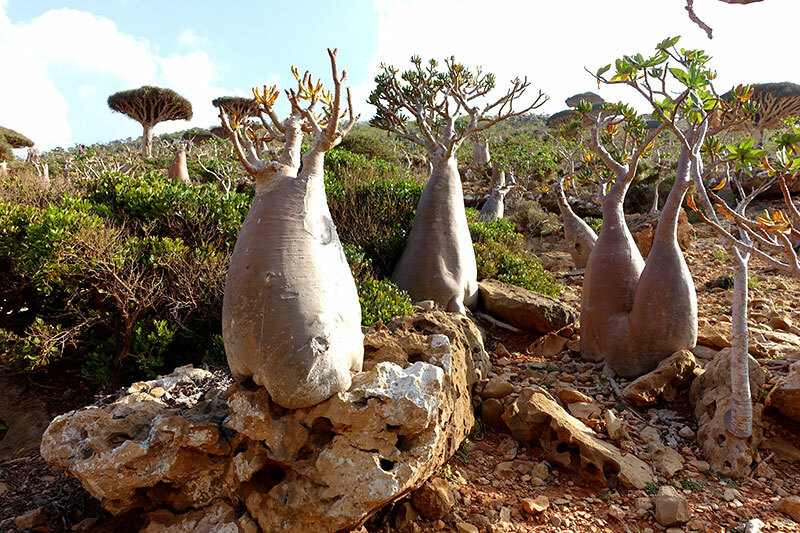 Later, the frankincense trade became a very lucrative business. The substance was so valuable that it was balanced with gold. 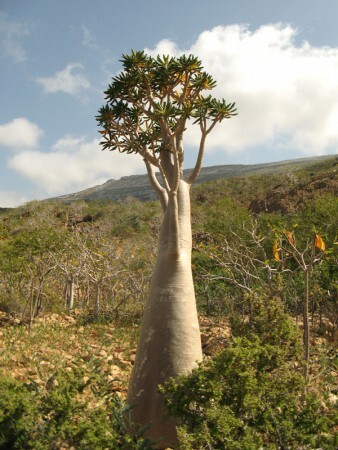 It was also used by the Egyptians during mummification. 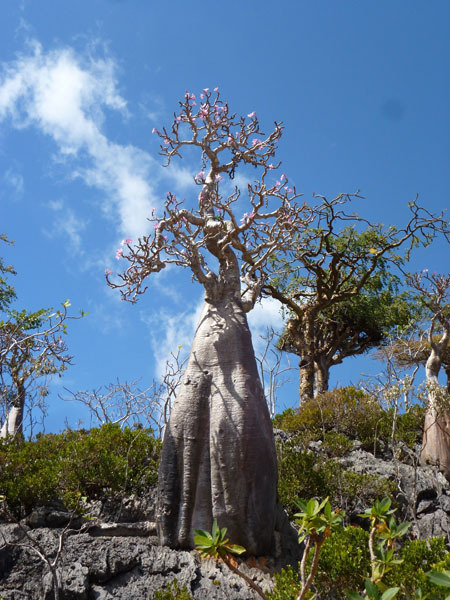 Desert rose (Adenium obesum socotranum) – an endemic succulent, also called impala lily. 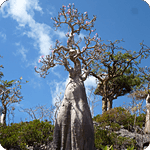 Its trunk is said to remind baobab but also an old woman’s behind. 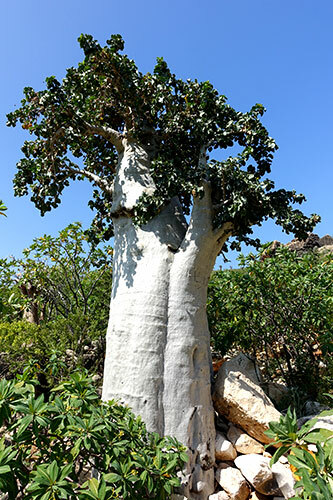 It reaches 3 metres in height and is best characterised by beautiful white and red flower, which grows on the swollen trunk. 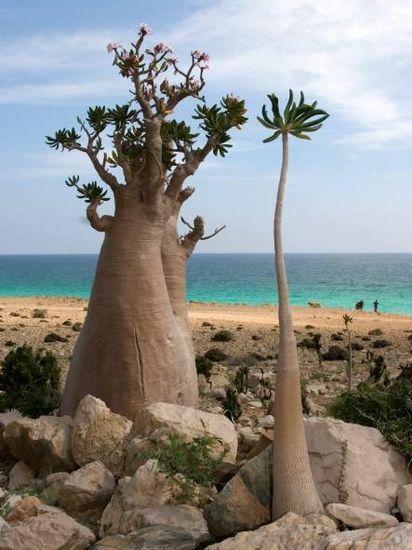 The tree adapted itself to the tropical climate by creating a reservoir of water in its trunk. 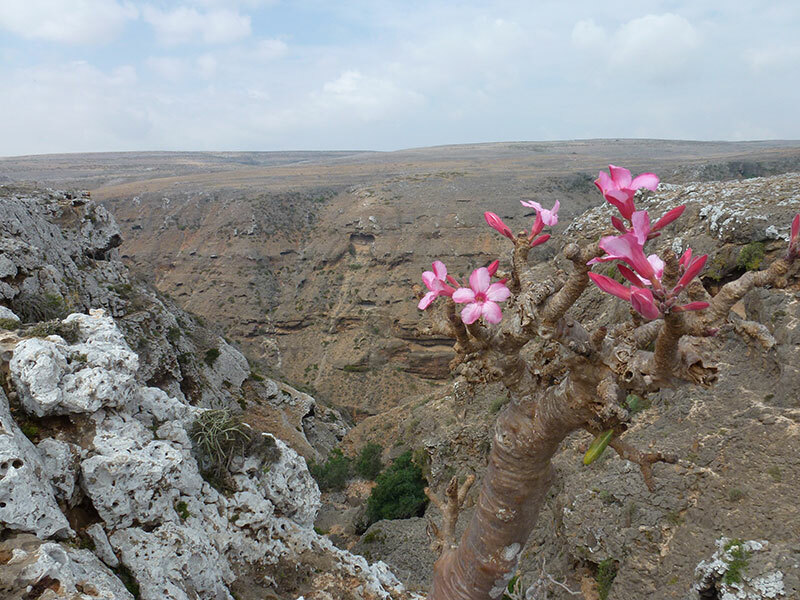 During the dry season, the tree sheds its leaves and only the flowers remain. 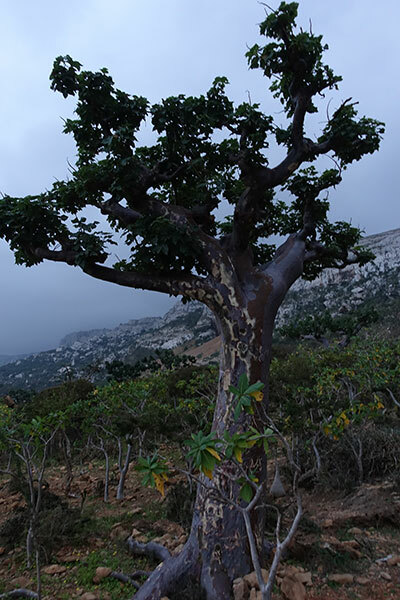 · Commiphora ornifolia – The tree can be recognized by its twisted shape and grey bark, which can be peeled in large pieces. 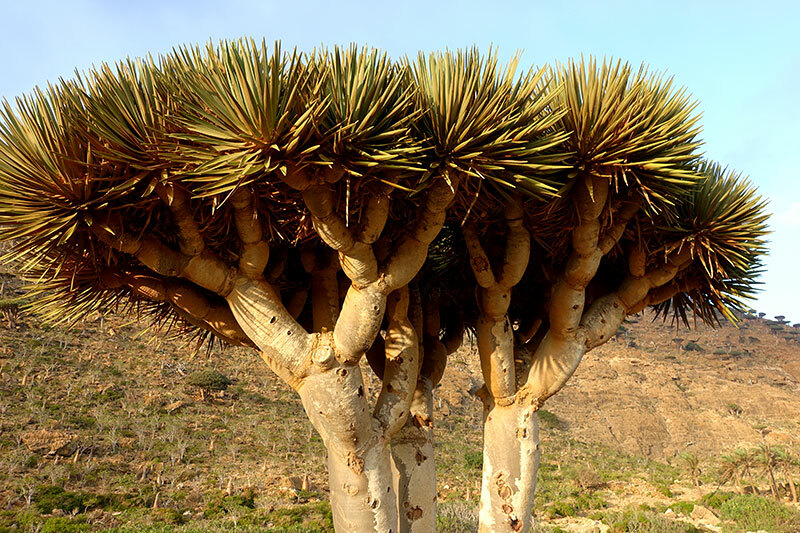 It reaches 8 metres in height. 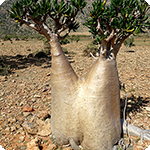 Its leaves have deep green colour and its flowers grow in raceme-like cyme and are, unlike the flowers of desert rose, inconspicuous. 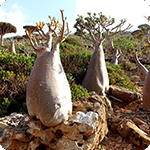 They are very common on Socotra and can be found especially in bushy areas and among the shedding trees that grow in the areas from 0 to 800 metres above the sea level. 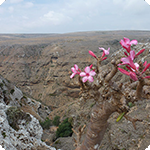 · Commiphora planifrons – Unlike ornifolia, planifrons is a rather small tree. 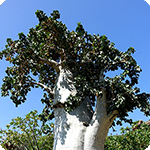 Its branches are horizontal, knotted and partly thorny. 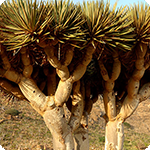 The bark can be peeled in the same way as ornifolia. 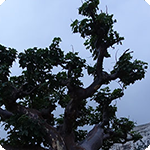 The leaves of the tree are quite peculiar. 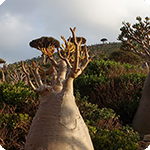 They are formed of two rows of globular and partly squeezed-like shapes. 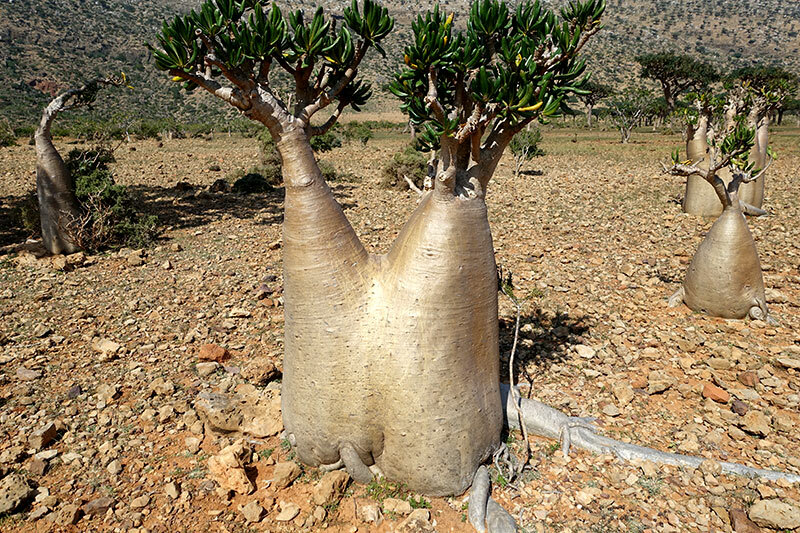 They have a velvet surface and brown and green colour. 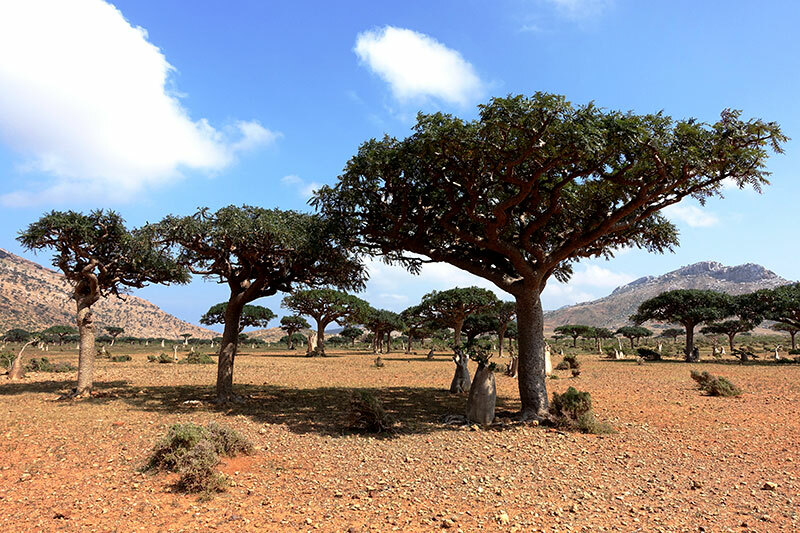 When cut into, the myrrh trees produce drops of resin, or myrrh. 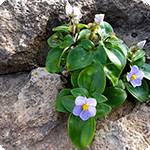 The substance has a pleasant smell and yellow or red and brown colour. Gradually, it darkens and solidifies. 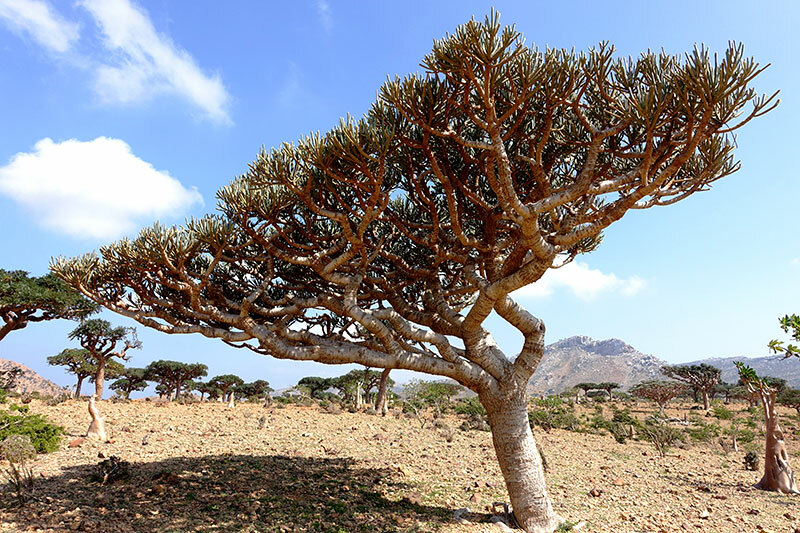 Similarly to frankincense, myrrh used to be a very valuable trade article, demand above all coming from Egypt and Rome where it was used in embalming. 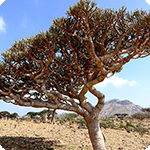 As in case of frankincense, myrrh can also be used in the form of oil, which is added into perfumes and other cosmetic products.